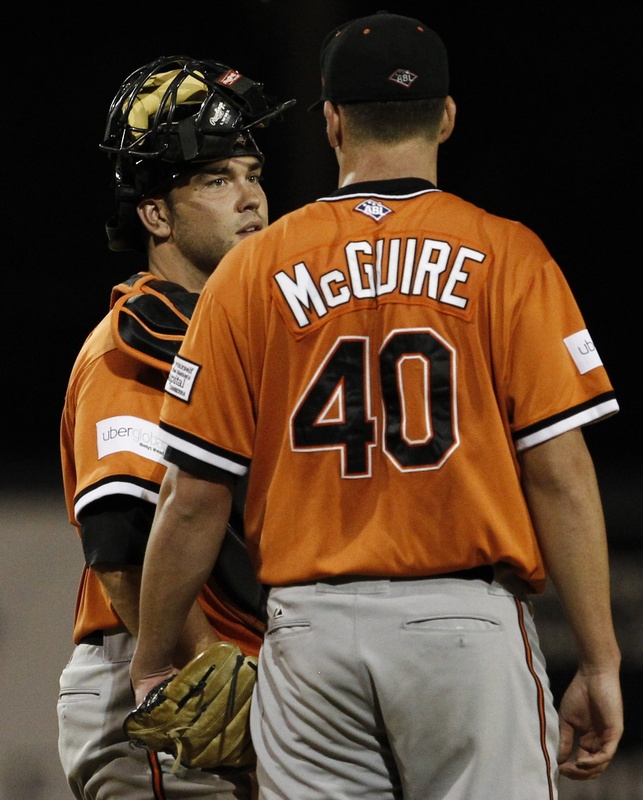 Considering the Australian Baseball League Canberra Cavalry catcher’s daunting six-foot-three solid muscle build, Madonna should consider recording a 2012 remix of “Don’t Cry For Me Australia!” There has always been a constant debate about whether home plate collisions should be banned throughout baseball history. By prohibiting the catcher from blocking the plate and banning base runners from making contact intentionally with the catcher, many argue the game would be a lot safer. However, baseball purists protest that combat at the dish has been around for years and is deeply entrenched in the sport’s tradition and its fans’ expectations of finding entertainment value in home plate drama. Selected by the Seattle Mariners in the 20th round of the 2005 First-Year Player Draft as a catcher out of Illinois’ Lincoln Land Community College, Travis Scott knew the occupational hazards inherent to his vulnerable position when he read the disclaimer and signed his first professional baseball contract. While the lead singer for rock and roll bands usually receive all the attention (and more…), the drummer is virtually unnoticed until he gets a crack at a drum solo (if he’s lucky). The same concept applies to the dynamic between the pitcher and his catcher. The pitcher gets all the hype (and salary), while the catcher keeps the beat (and the leftovers) of the game. He must have the intuition and knowledge to deal with every fine-tuned intricacy that starting pitchers and relievers have in their vast repertoire. As with the world of corporate rock, if your band or team does not possess a solid drummer or catcher, then your franchise will lose on the field and at the box office. 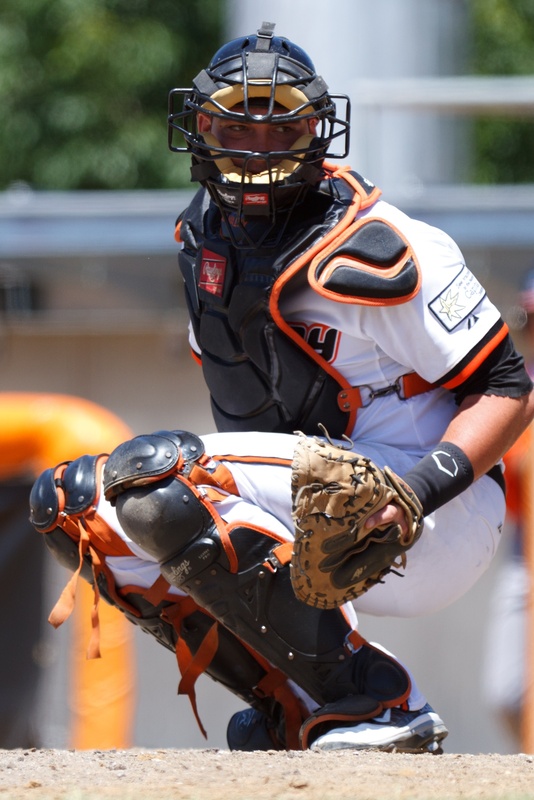 While what a catcher can produce offensively at the plate is very important, what he does behind the plate is even more significant. The catcher must have a keen sense of intelligence to call a good game and have the ability to throw out base runners. Travis Scott possesses all the innate qualities necessary to become a successful MLB catcher. Left-handed slugger Travis Scott has extreme power and discipline at the plate. 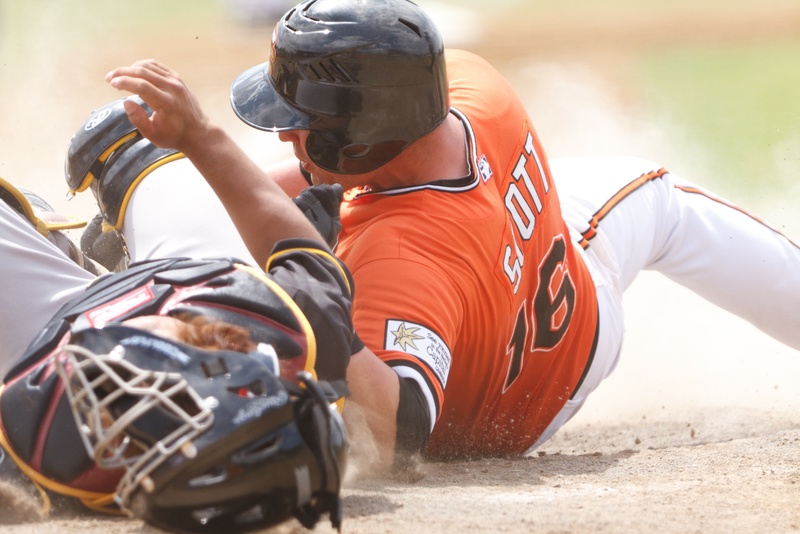 Scott’s signing to the LA Angels was short-lived as the Pittsburgh Pirates quickly took him hostage before he could become Scioscia’s protege in the Triple-A phase of the Rule 5 draft. He is now a free agent looking for a new pro contract. 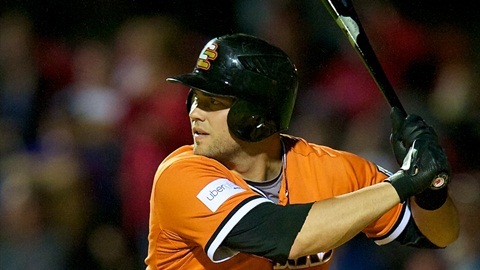 Currently second in doubles (13) and ninth in walks (14) in the ABL while hitting .250 for the Canberra Cavalry, Travis Scott knows in order to achieve his personal goal of a .300 batting average that he must pump up the volume for the remainder of the season. He concides, “In my position as a free agent, any time you get the opportunity to get some at-bats you want to put up good numbers because ultimately scouts in America are looking at your offensive numbers before your defensive numbers. I want to put up .300 or above numbers with a little bit of power to all fields. 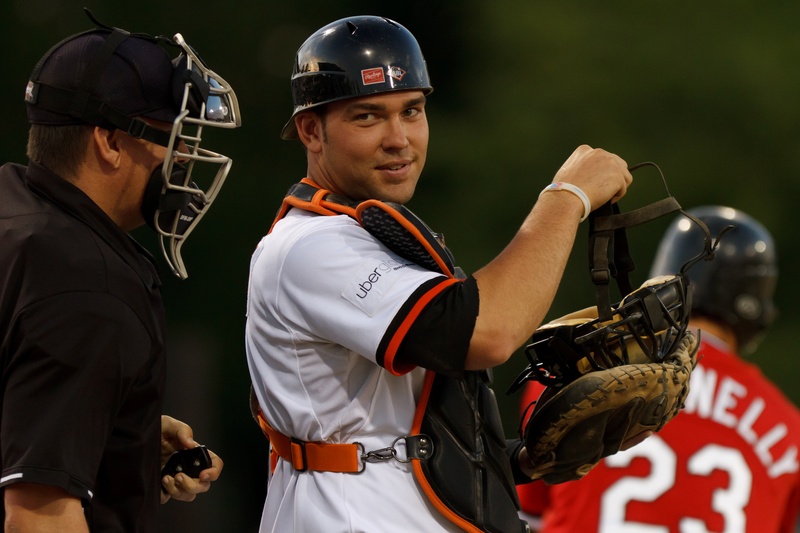 If I can do that, I’ll have a pretty good opportunity to find a club in the United States.” With eight regular season games left for the Canberra Cavalry catcher, Travis Scott will have to dig down deep and catapult his team into the playoffs so that scouts will have the opportunity to see for themselves why he deserves another chance to join the game’s elite in Major League Baseball. American Travis Scott has the potential to achieve his dreams of playing in the Big Leagues. Let’s hope he is at the right place at the right time to be seen by the MLB scouts! Best of luck to you Travis!! !